Ki-sho 葵匠 means aristocratic craftsmanship, a value that is emphasized from the architecture to the core of its fresh nihon-ryōri. 葵 (Aoi) is a flower belonging to the Malvaceae family, commonly known as mallow. 匠 means artisan or craftsman who has skills to create beauty. This original combination of the two characters, 葵匠 creates the word with metaphor of “high class artisan” or “the artisan whom creates the perfect beauty”. An idyllic Zen-garden sanctuary, bringing forth a marriage of both interior design and culinary art. 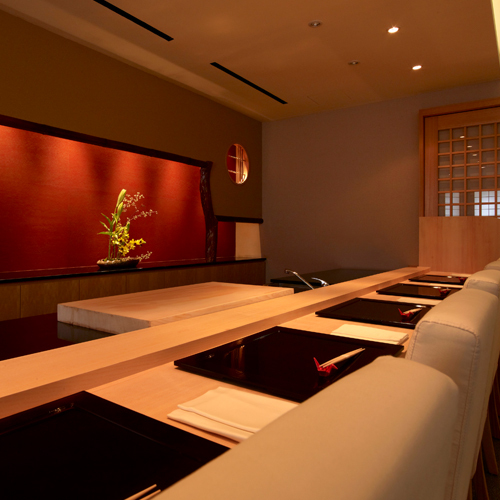 This characteristic is reflected throughout the restaurant’s architecture and Chef Hamamoto’s culinary creations.